While the University has several procedures in place for severe snow and cold weather, students did not share the same feelings toward recent actions. Snow still covered much of campus on Friday, Feb. 2. 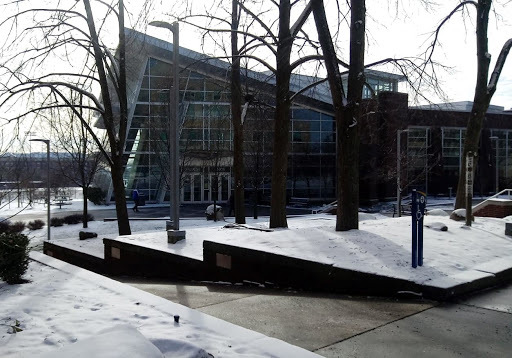 With the recent days of temperatures below zero and the winter storm that left several Akron streets covered in snow, students at The University of Akron reacted differently to the campus’ snow and cold closing policies. According to UA’s website, the decision to close the University or not is left to the President or a designated person, based on The University of Akron Police Department’s evaluation of campus conditions, local law-enforcement agencies’ report on surrounding roads and other weather-related advisories. 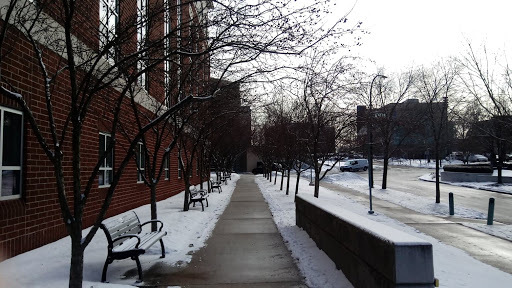 However, when a winter storm hit Akron during the week of Jan. 18 and left 14 Akron school buses stuck on snow-covered streets, according to the Akron Beacon Journal, the University’s main campus remained open. For some students, the University main campus not closing due to heavy snowfall was not an issue since they live on campus and do not have to travel far distances in order to attend classes. Sophomore Emma Griffith, a psychology major, said she wasn’t upset that the University main campus held classes despite the snow, even though getting around had been a little more difficult. Other students were happy classes didn’t cancel after the winter storm due to the difficulty professors face when having to rearrange their lesson plans and course content. Seniors Garrett Parker, biochemistry, and Tyler Rieman, an environmental science major, said that despite having a hard time getting out of their driveways, attending class was important to keep the course on schedule. “Honestly, if it’s not safe to be outside, then we shouldn’t have campus open. 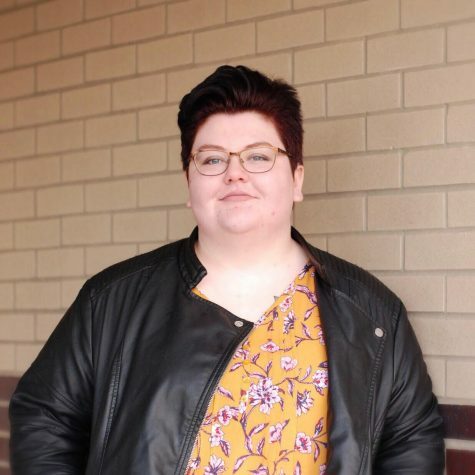 But for… seniors, I think getting to our classes is important whereas some of the freshman and sophomores might not get as much out of their classes as we might,” Rieman said. Alexandria Yokiel, another commuter student at UA, said that the roads leading to campus were left untouched and covered in snow on Tuesday, Jan. 19. “I think that is ridiculous considering Akron is a commuter school. All streets leading to campus should’ve been cleared by Tuesday morning. 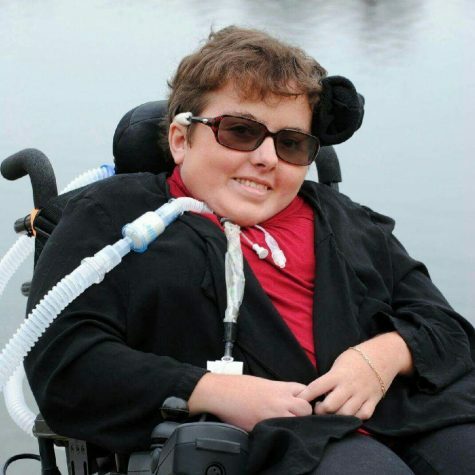 They had two days to do it,” Yokiel said. 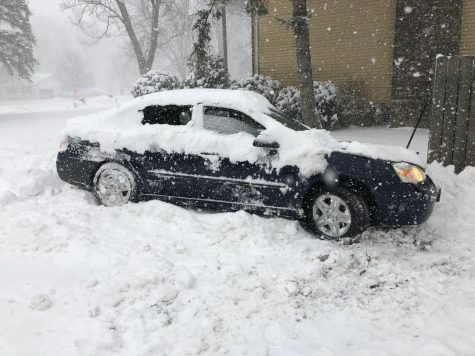 Arts and Entertainment Editor Amanda Piekarz’s car got stuck while attempting to get to class on Tuesday, Jan. 19, since the University remained open. Although UA remained opened after the winter storm, the University main campus closed on Jan. 27 and 28 due to the cold temperatures, which is something that rarely happens according to their website. Before Jan. 27 and 28, 2019, the last time the University closed the main campus was four or five years ago, according to Parker and Rieman, due to students slipping on the ice. With the cold and the snow, activity at the Student Union on Friday, Feb. 2 was low. “We serve adults, and most businesses that serve adults remain open when school districts close because of cold weather,” the University’s website said. However, Steiner said that College Credit Plus students also attend classes at UA and are not adults, which can make transportation and travel difficult in certain weather or temperature related situations. Students remained divided in response to the University’s recent actions, but there are other policies in place to help keep the campus community safe after severe weather. Andrew Henry, Director of Building Services, Grounds & Special Services, along with Nathan Mortimer, the Vice President of Finance and Administration, said the University maintains a supply of “salt, brine and other deicers” to combat ice. Also, UA has a “Midnight Clear” procedure that asks students in parking lots or the top level of a parking deck to move their vehicles to covered areas. This ensures that those areas can be cleared of snow and ice by morning. “Notification will be sent to all resident students via our Z-Alert text-messaging service instructing them to relocate their vehicles to a covered area of a parking deck,” the website said. UA’s website also said some services may be altered due to severe weather, such as the Roo Express. If severe weather is an issue, the buses run on a “snow route” that stops at most major dorms and Rob’s Cafe. 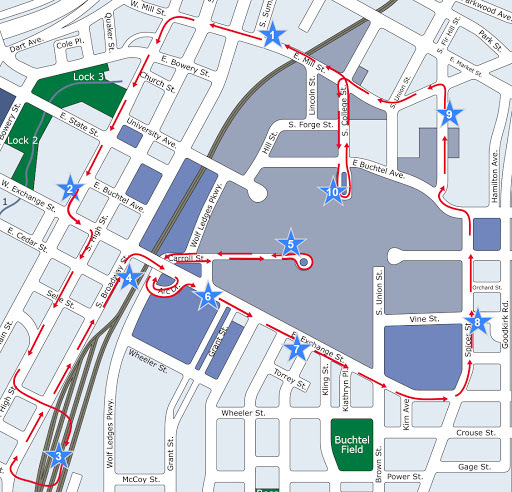 The snow route for the Roo Shuttle service includes ten different stops. More may be added if necessary. Dining hours may also be impacted depending on if only classes are canceled or if the entire main campus is closed due to severe weather. For a list of dining services weather hours, click here. Overall, while students do not agree on UA’s recent decision to remain open in snow but closed in the cold, the safety of the students, faculty and staff is still a priority of the University, along with efficiently providing its service. “The goal is to keep campus as clear as possible in a timely enough fashion so that campus may operate as best as possible,” Henry and Mortimer said. Students are encouraged to sign up for the Z-Alert text messaging service to stay aware of possible campus closings, delays or other emergencies on campus. Instructions on how to subscribe can be found here. 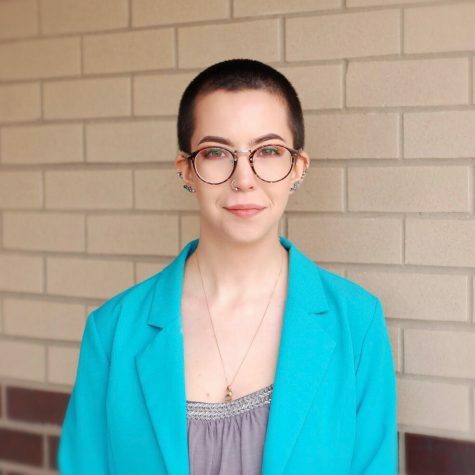 Amanda Piekarz is an English Major with a Creative Writing minor at The University of Akron. A Best of SNO award winner, Amanda is an avid creative writer and loves to read. Although she loves Ohio, Amanda was born in New Jersey; and hopes to one day return home and attend graduate school on the east coast.